PPR and PRP kit contribute to Beauty | Liuyang Sanli Medical Technology Development Co., Ltd.
PRP injection cosmetology is a comprehensive promotion and regeneration of the entire skin layer, and a comprehensive repair and recombination of skin texture, collagen and elastic fibers. PRP can make skin better for three to five years after injection. In 2003, two world-renowned plastic surgery professors, Dr. Kubota (Japanese) and Professor Otto (British) working in London, on the basis of PRP technology, produced PRP of plasma rich in high concentration growth factor and EGF (epidermal growth factor) and vascular growth factor (vascular growth factor) and developed a unique PRP injection plastic surgery in Beauty technology. 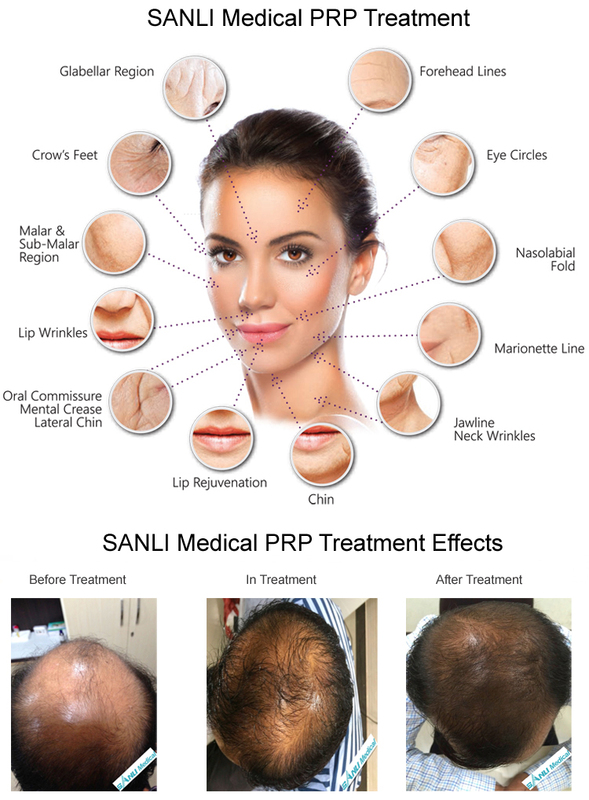 SANLI PRP technology conforms to the law of the development of medical plastic technology: replacing traumatic plastic surgery with non-traumatic methods, bringing perfect appearance and inner beauty to patients. 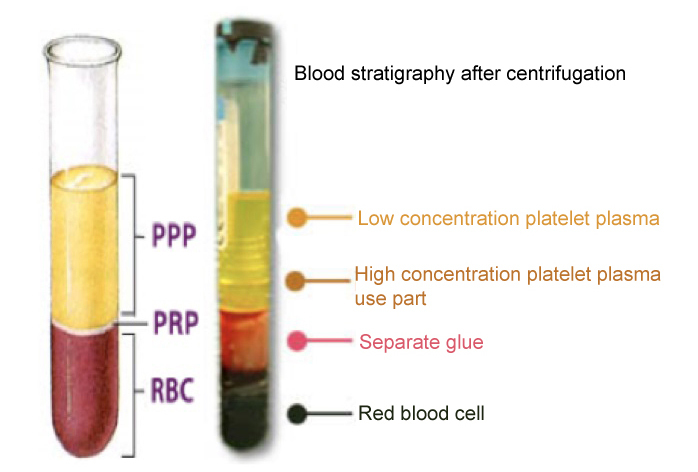 SANLI PRP technology is translated into platelet-rich plasma, stem cell-rich plasma or growth factor-rich plasma. Using the new SANLI PRP-Kit technology, only one package can be used in a doctor’s office or operating room to produce PRP plasma with high platelet concentration and high growth factor concentration in an hour. And the new SANLI PRP technology concentrates 99% of the white blood cells in the whole blood into SANLI PRP to ensure that no infection occurs in the treatment site. SANLI PRP technology is a high concentration plasma rich in platelets, stem cells and growth factors, which is made from its people’s own blood. These factors play an important role in promoting wound healing, cell proliferation and differentiation, and tissue formation. 1. Disposable sterilized treatment kit. 2. The use of people’s own blood to extract high-concentration growth factor-rich serum for treatment, will not cause rejection. 3. 30 minutes can complete their own blood refining process, shorten the treatment time. 4. The plasma rich in high concentration growth factor is rich in a large number of white blood cells, which greatly reduces the probability of infection. 5. Extensive medical clinical validation. 6. Only one treatment can repair and reassemble the whole skin structure, improve the skin condition and delay aging. Wrinkles: forehead wrinkles, crow’s tail wrinkles, eye wrinkles, nasal dorsal wrinkles, statutory wrinkles, mouth wrinkles, neck wrinkles. Skin laxity: Facial skin is laxity, rough and dull. Scar: Depressed scar caused by trauma, acne, etc. Pigments: Improve pigmentation, pigmentation changes (spots), sunburn, erythema and chloasma after inflammation. Others: eye bags, dark circles, lip enlargement, facial tissue loss, allergic skin, etc.